As well as being a programme planner on Radio Nova, where he does his best to give airtime to others’ music, Max Guiguet is also out on his own under the pseudonym Blundetto, up to his eyeballs in records, instruments and machines. But Blundetto’s attachment to his studio cocoon doesn’t stand in the way of his eclectic musical tastes or his partiality to collaborating with other musicians. None of the guests who appear on World Of received any official written instructions, but Blundetto did remind them of the general rule that he wasn’t there to guide them through recording, nor give them any directives that might kill off their own identity. Each is his or her own man or woman in the studio, since it is the clash of styles that creates the alchemy. 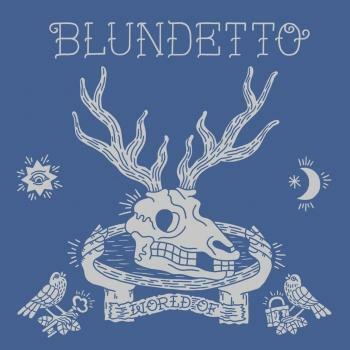 Rather than choosing options that meant crossing oceans or exchanging files without ever meeting, Blundetto decided to work with his local network of friends and regulars.